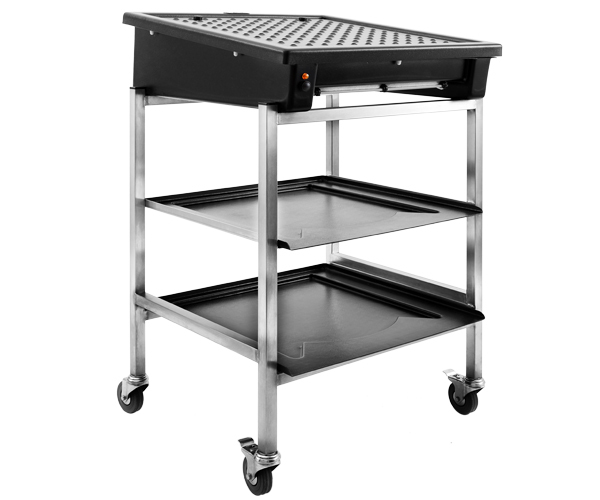 The stands are made of stainless steel and not only look ‘swish’ but are also able to handle the knocks and bumps of a busy bar or kitchen area. Every stand come with the correct number of catch trays as standard. 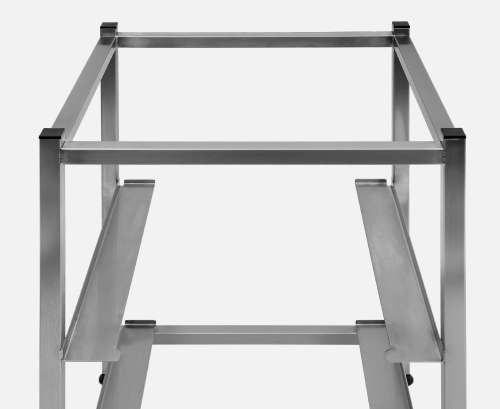 The stainless steel design of the stand is resistant to corrosion and staining from water and so is easy to clean and maintain. 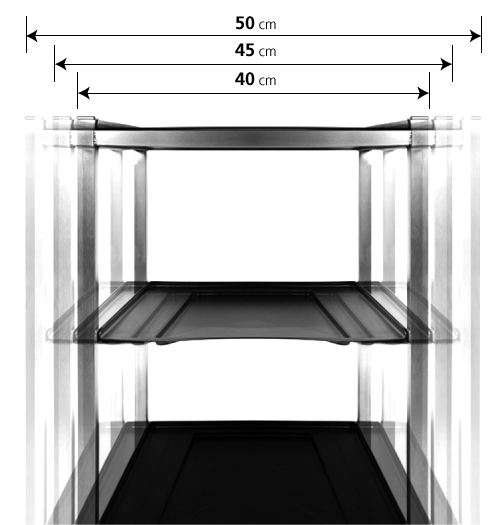 Stands are available in 3 different sizes to suit any Airack model. The sizes are 40, 45 and 50. The 40 size stand is designed for use with the Airack 40 Standard and lite, the 45 is to be used with the Airack 45 Standard and Lite and finally the 50 Size stand is for use with the Airack 50 Standard and Lite. 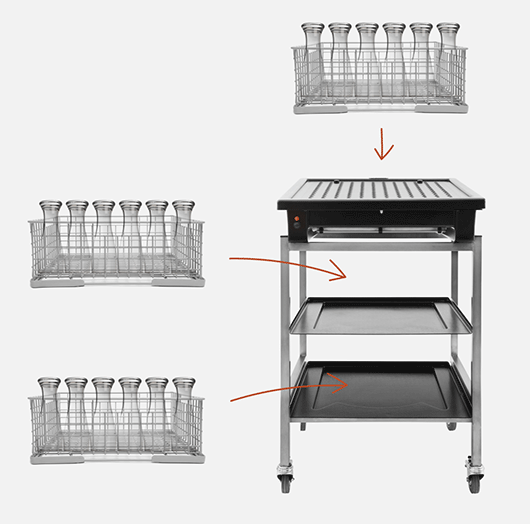 The stands accommodate the Airack and are designed for the set down and storage of glasswasher baskets containing clean, dry glassware. 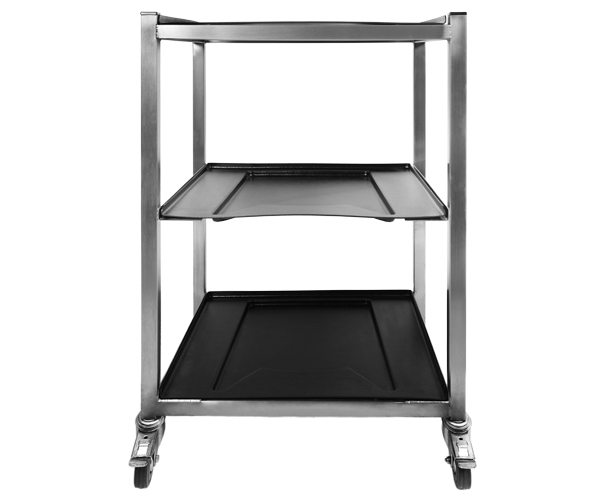 A stand can be an essential extra as a safe, hygienic and tidy storage solution in the bar or kitchen. The Airack stand storage clearance allows for the tallest glasses to be stored safely and hygienically. 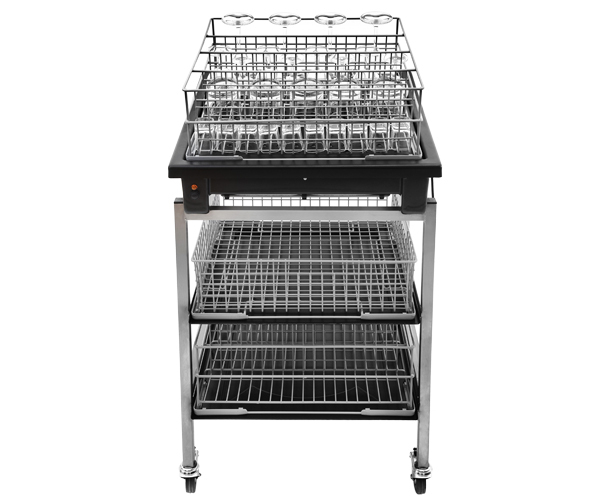 The space between each rack shelf, allows for glasses that measure up to 250mm in height, and so there is plenty of room for specialist baskets such as the Clenaware tall glass basket to be stored. 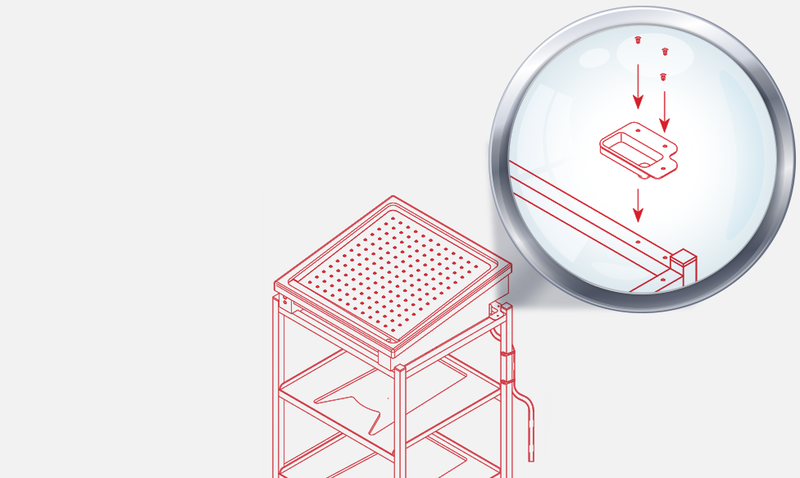 The stand can also be provided with a Tundish to drain away any excess water (for Airack standard models only). The stand has storage space for 2 further baskets allowing you to store cleaned, dried glasses safely. Mobile stands are available in several different sizes to suit any Airack model. The sizes in stock are 40 size, 45 size and 50 size.